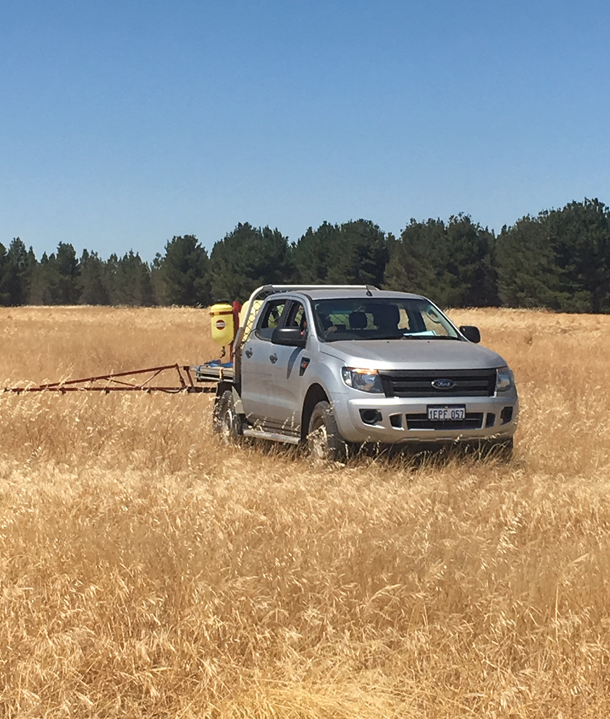 The Wheatbelt NRM Noongar Budjar Rangers have partnered with a leading carbon entity to assist with the revegetation of areas of unproductive farming land in the Wheatbelt. A team was out in the Brookton area last week helping with site preparation for a biodiverse sandalwood plantation that is part of the voluntary carbon market. While the desired outcome for the Rangers is increasing employment opportunities it is so much more satisfying where the additional benefit of restoring ‘budjar’ can be achieved. Working on Country and seeing how their work can lead to landscape restoration is a great reward for their efforts.